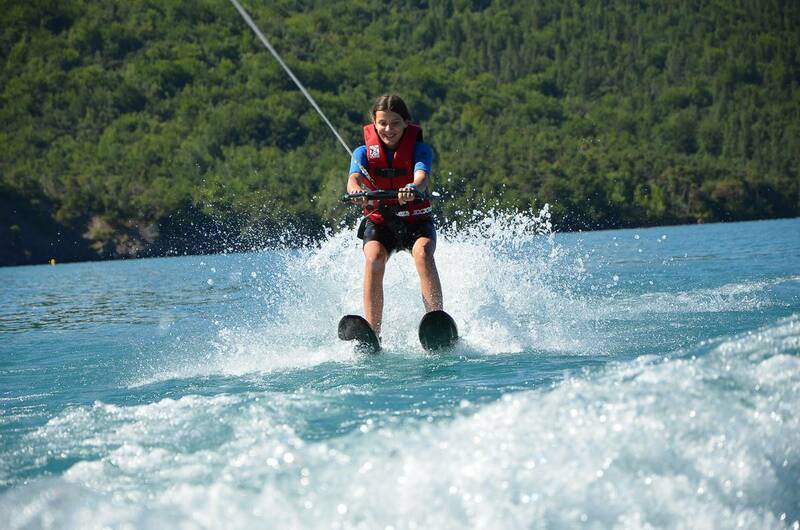 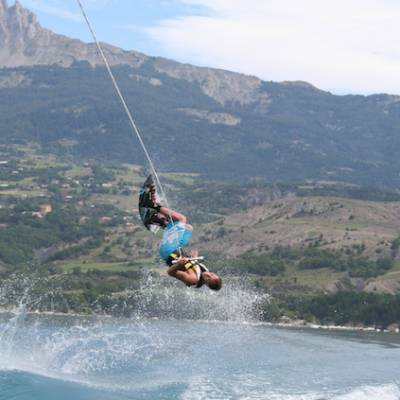 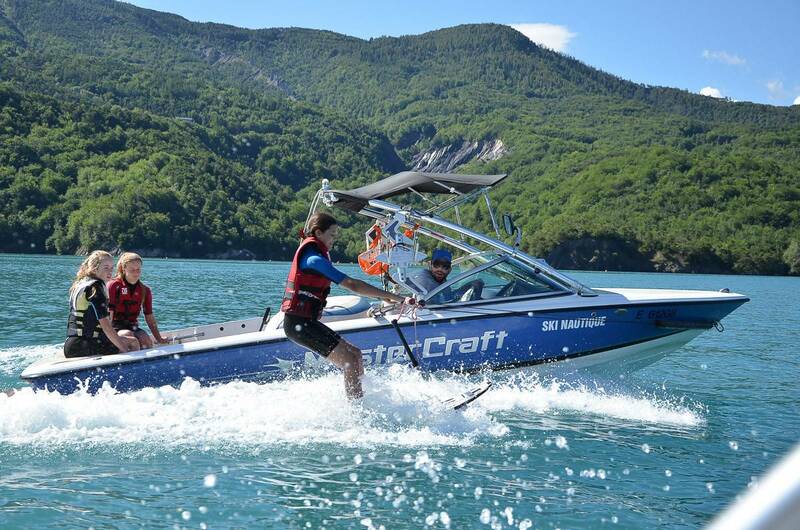 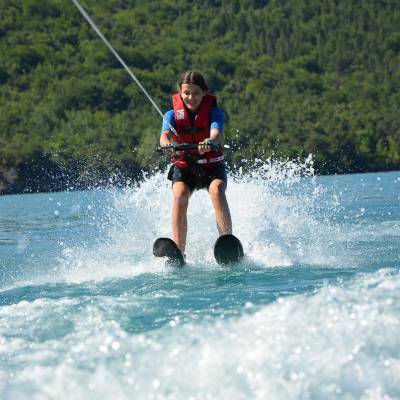 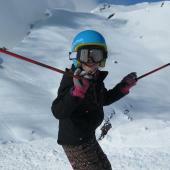 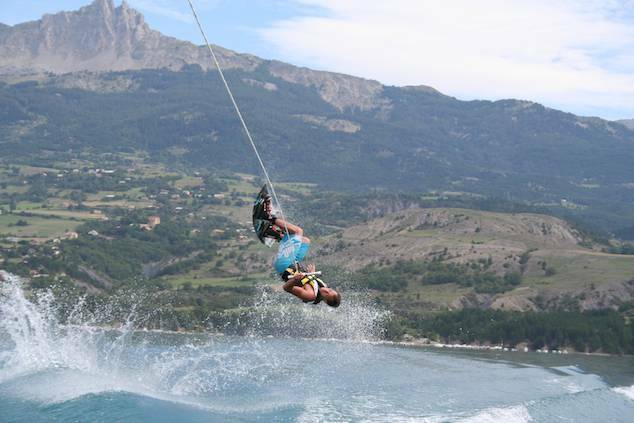 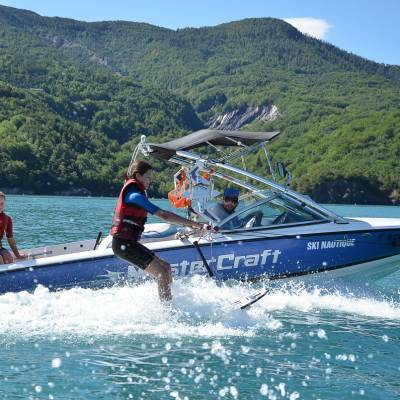 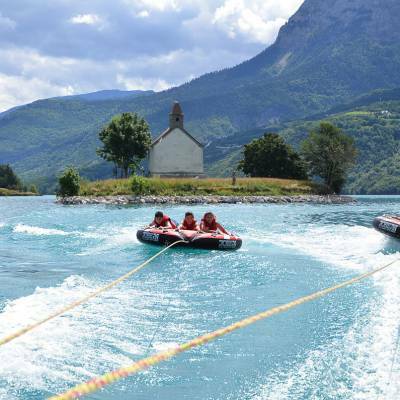 Water Skiing, Wake Boarding or Tubing in the Alps? 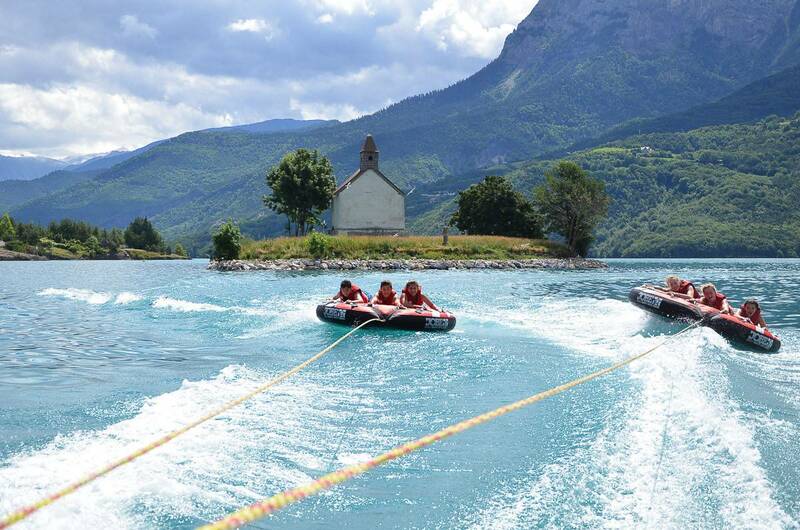 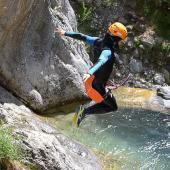 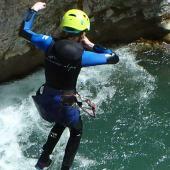 Usually these are a sports reserved for the beaches of the Cote D'Azur but why not try it in the Alps and combine it with an alpine activity holiday ? 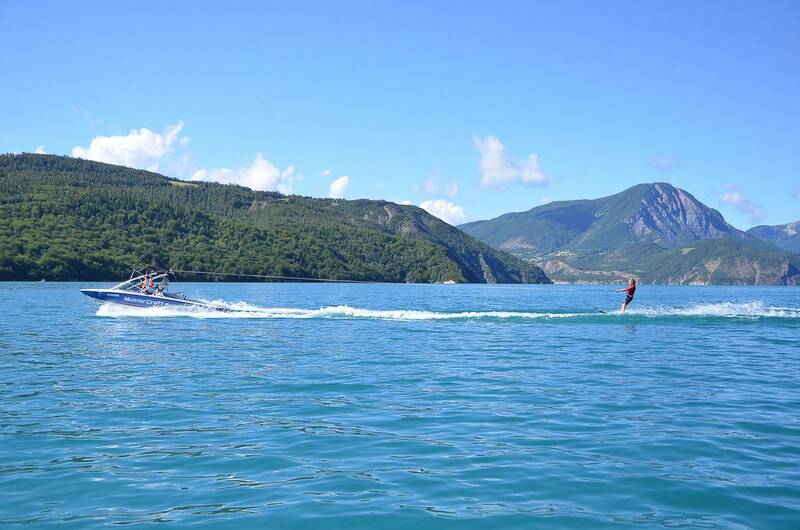 In the Southern French Alps, we have the largest artificial lake in Europe, the Lac du Serre Poncon. 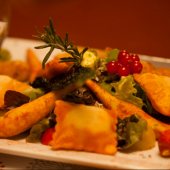 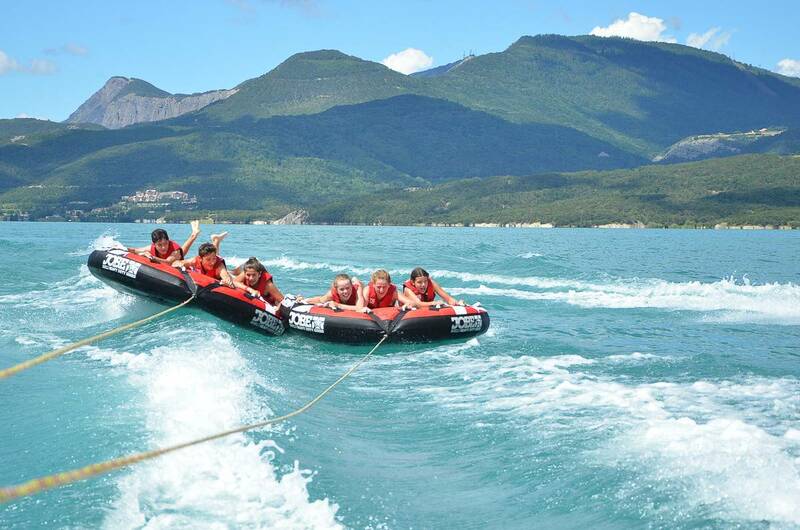 It's deep blue waters cover a surface of 2800 hectares set amidst a dramatic back drop of mountains. 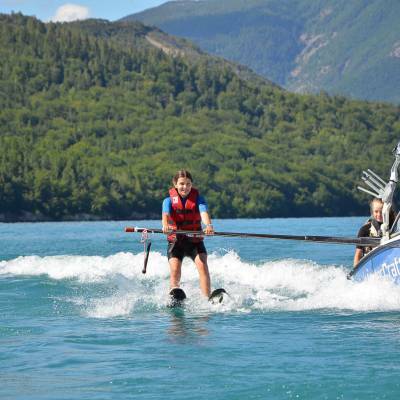 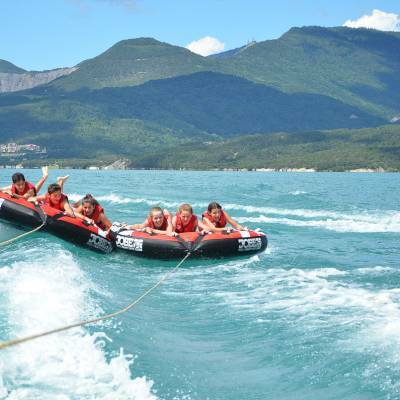 With the hot sun and blue skies of the Southern Alps and fresh water venue, it is the perfect location to try tubing, water skiing or wake boarding. 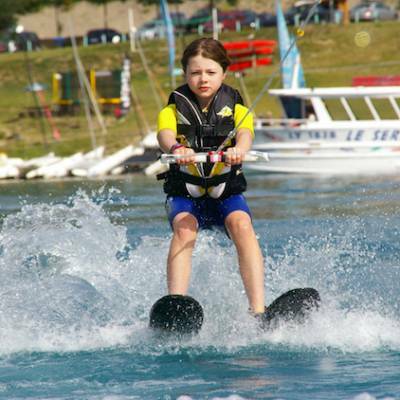 Test your balance and surfing skill as you are pulled through the water on your water ski or wake board or just relax and go for the ride on your 'tube'. 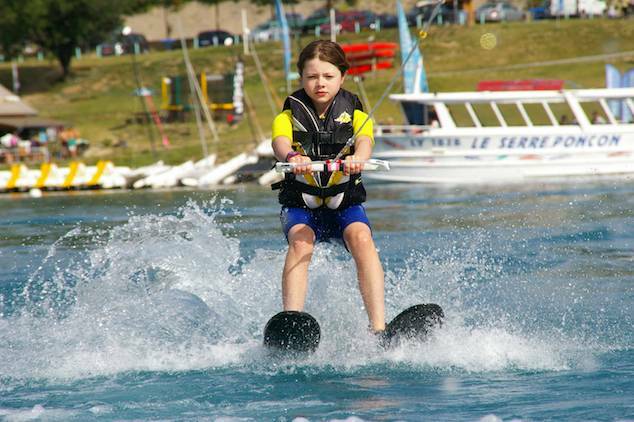 Hilarious fun for beginners and a display of tricks for more experienced water skiers and wake boarders! 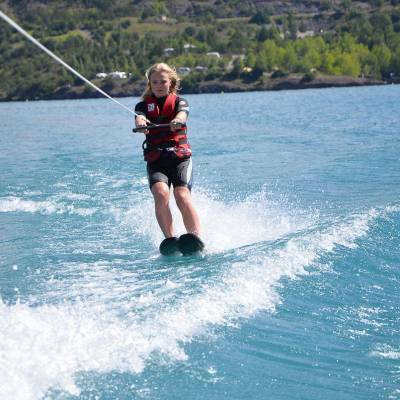 We have tubing, ski and wake boards available. 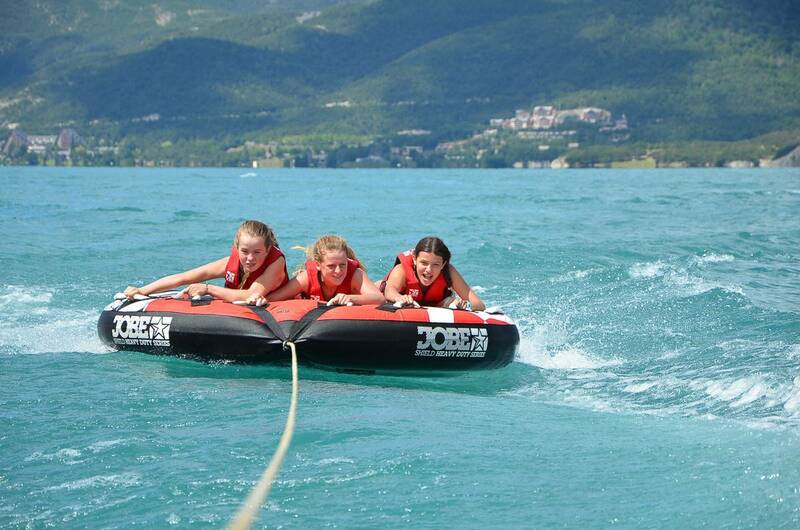 Hilarious fun and a thrilling ride surfing the powerboat waves! 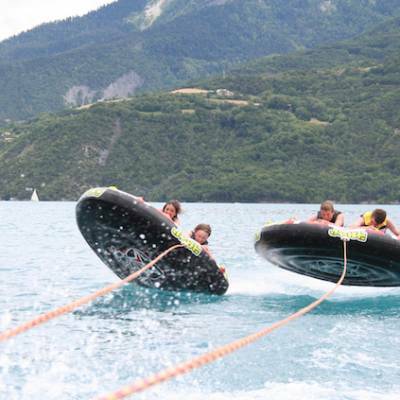 Minimum age is 6 for tubing and waterskiing. 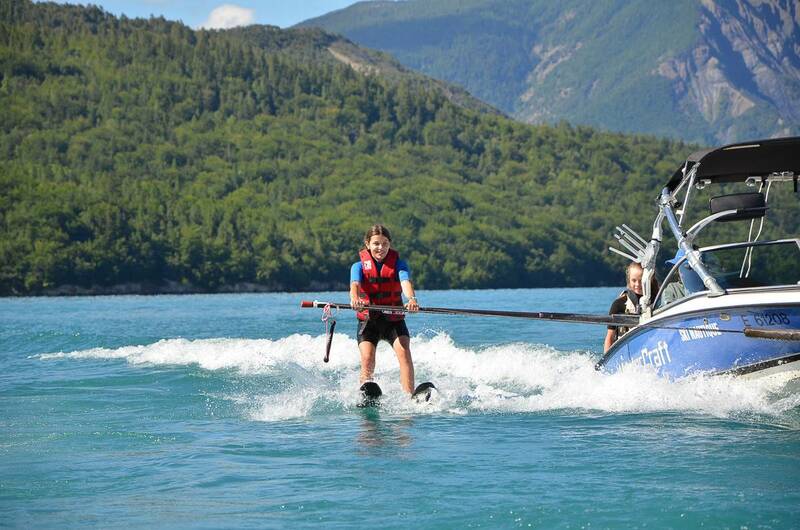 Wake boarding is a minimum age of 8. 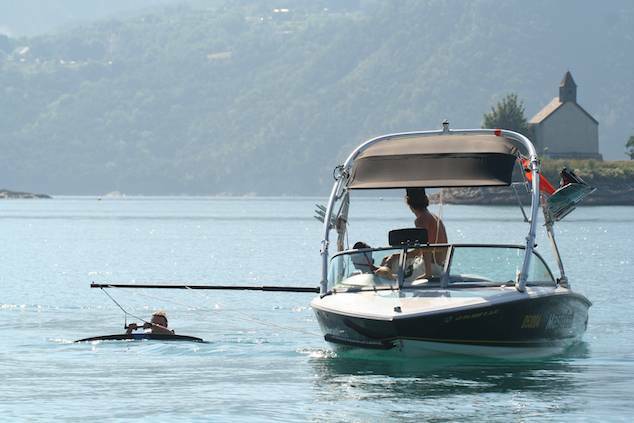 Must be able to swim. 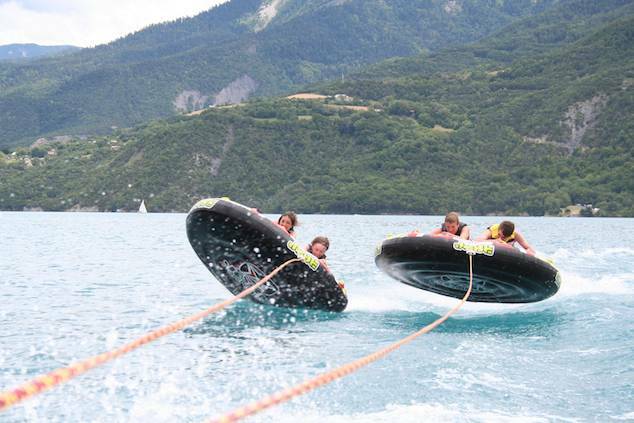 Tubing requires no skill other than being able to swim and hang on to your tube! 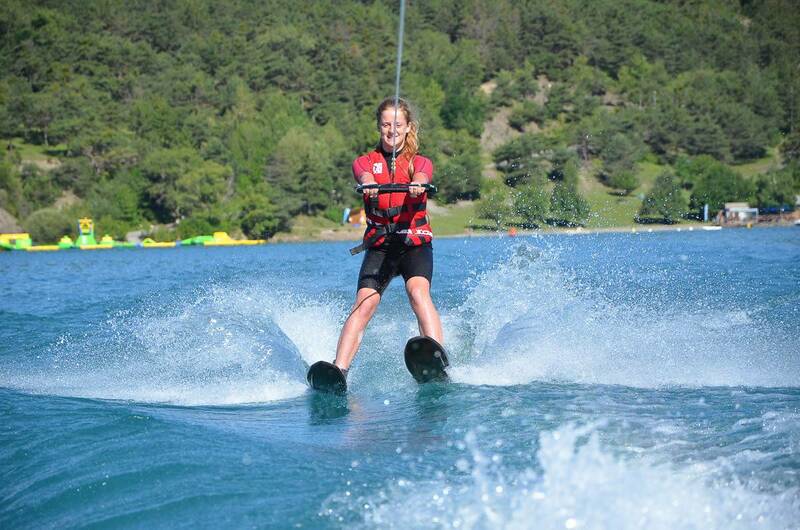 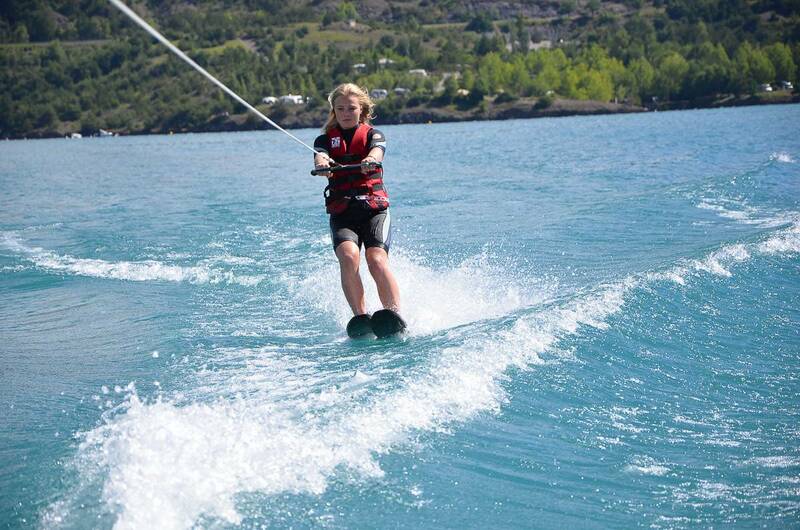 Waterskiing and wake boarding require technical skill but it is easy to pick up the basics in a few sessions.